The Securities and Exchange Board of India (SEBI) has a mandate to regulate what are called as collective investment schemes (CIS), which pool together investors’ money to invest in a variety of schemes. However, SEBI failed to regulate the Osian Art Fund under CIS regulations. Though SEBI issued an advisory against unregistered art funds in 2008, it failed to regulate the Osian Art Fund, which was the first fund among the unregulated art funds which were floated during that time. Clearly, under this rule, Osian Art Fund, which pooled investors’ money to invest in art, was supposed to be regulated by SEBI. However, the Osian Art Fund was not regulated by—or registered with—any regulatory body. Excerpts from the 5th six-monthly disclosure report prepared by the Fund, reveal the entire story. 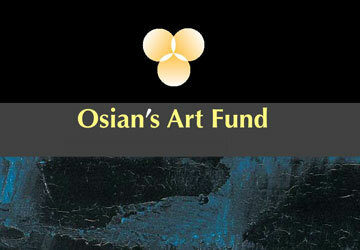 Osian Art Fund was launched in 2006 and was served a show-cause notice by SEBI in November 2007 asking as to why the Fund should not be regulated. Osian had a hearing with SEBI later in 2008. However, in both instances, SEBI did not revert with any further communication. This shows a shocking derecliction of the implementation of SEBI’s regulatory process. show-cause notice (“Notice”) to Osian’s–Connoisseurs of Art Private Limited, the asset management company of the fund, seeking an explanation as to why the Art Fund should not be regulated in terms of the SEBI (Collective Investment Schemes) Regulations, 1999 (“CIS Regulations”)”. Osian claims to have submitted a detailed response in December 2007 to the show-cause notice. However, after this response, the Osian report claims, there was no further communication from SEBI. “As the duly appointed trustee of the Art Fund, Oseta Investment Trustee Co. Pvt Limited (“Oseta”) submitted a detailed response to the Notice on 21 December 2007. SEBI has not reverted to Oseta with any further queries, concerns or directions on this issue as of date,” the report further stated. This report was released in February 2009. Followed by this new advisory, Osian was granted an opportunity for a hearing before the whole-time director of SEBI on 5 September 2008. Again, there was no further communication from SEBI after the hearing. legal as well as industry-specific issues and made submissions; since then, there has been no further communication from SEBI. No directions for registration under the CIS Regulations have been issued to the Art Fund or Oseta Investment Trustee Co. Pvt. Ltd. as of date,” stated Osian’s six-monthly report released in February 2009. Concerned officials from Osian and SEBI did not respond to the email sent by Moneylife on this issue.